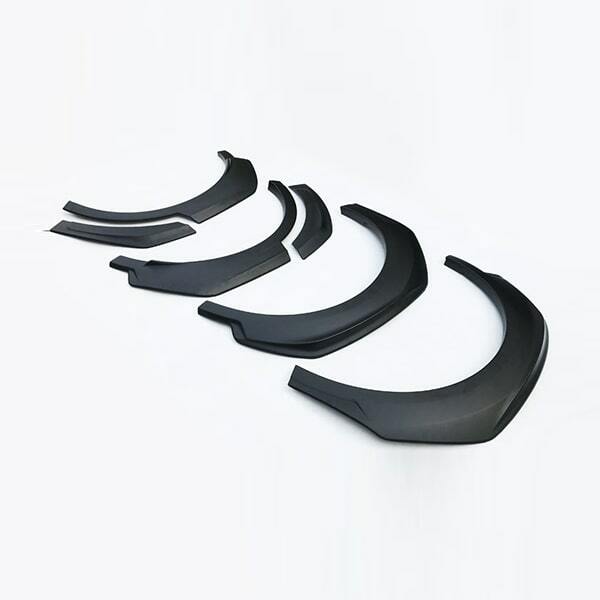 Fender flares is the abbreviation of the car wheel brow, refers to the tire on the edge of the plating lotus-bright, that is, the car tire above the wing plate protruding semi - circular parts. 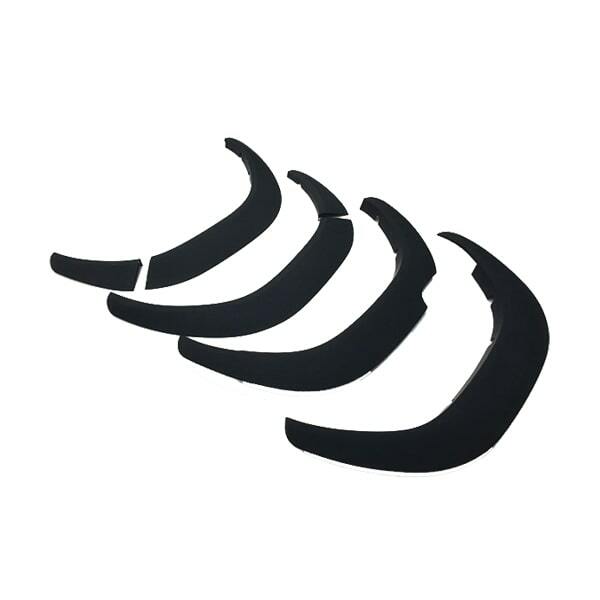 It's made of 1/2 steel, 1/2 plastic, front and rear wheels.Common person calls it the eyebrow of wheel reason calls round eyebrow! 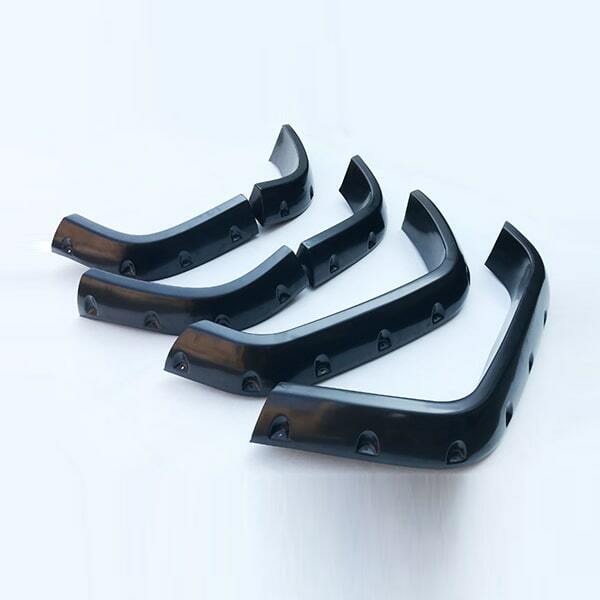 The function of the fender flares is mainly for the purpose of decoration and the personalized needs of the driver. 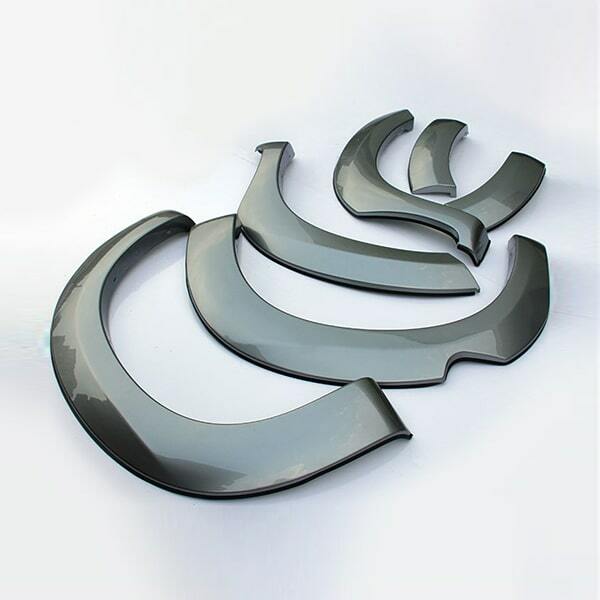 Meanwhile, the function of the fender flares for the purpose of aerodynamics also conforms to the hydrodynamics and reduces the wind resistance coefficient. 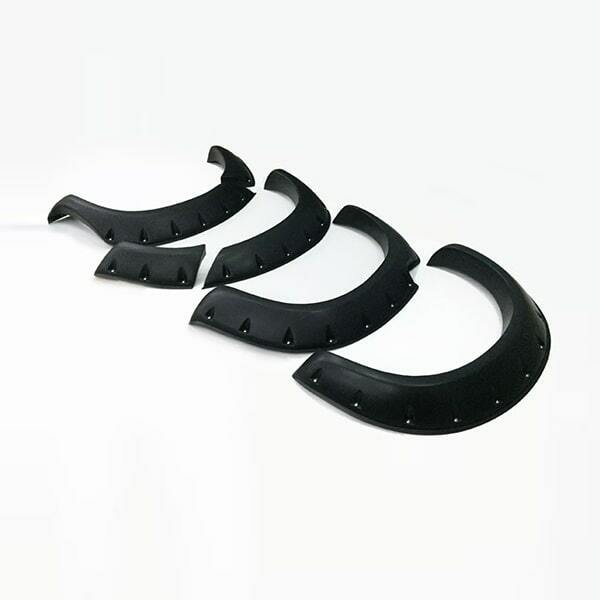 The industry generally believes that the stainless steel wheel eyebrow tire obtained: 1, a more dazzling appearance 2, better bend limit.Lost: 1, speed reduction 2, comfort.In addition, the wheel - brow design has little effect on the fuel consumption of the vehicle. 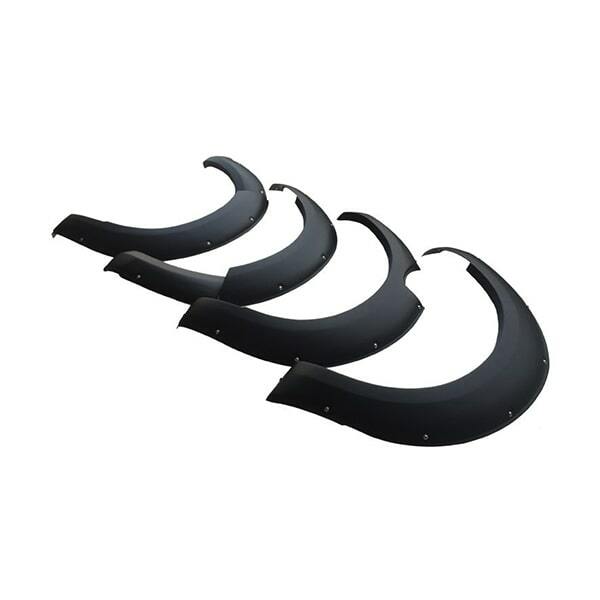 This set of fender flares come have an aggressive look, perfect for any truck - especially those with larger tires. 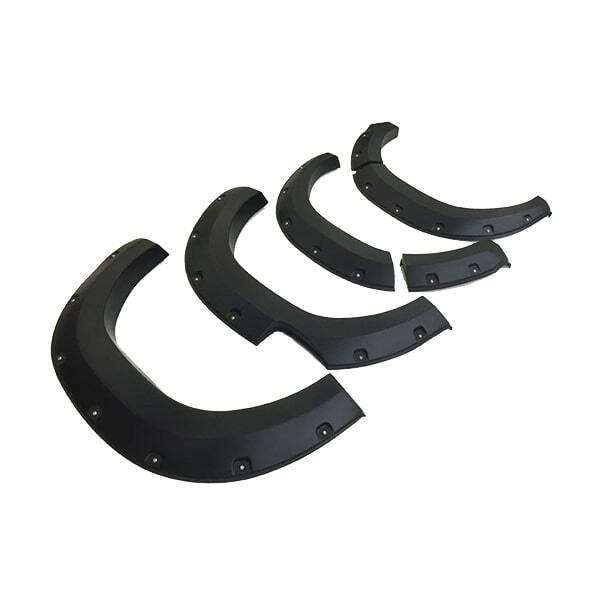 The bolts are just for looks and require no drilling for installation, which provides durability, flexibility and protection. 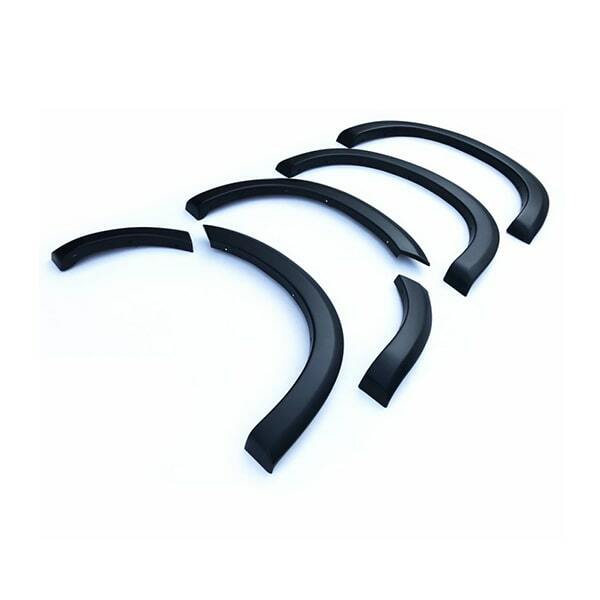 All fender flares come with UV protection - no cracking, chalking or warping from weather. 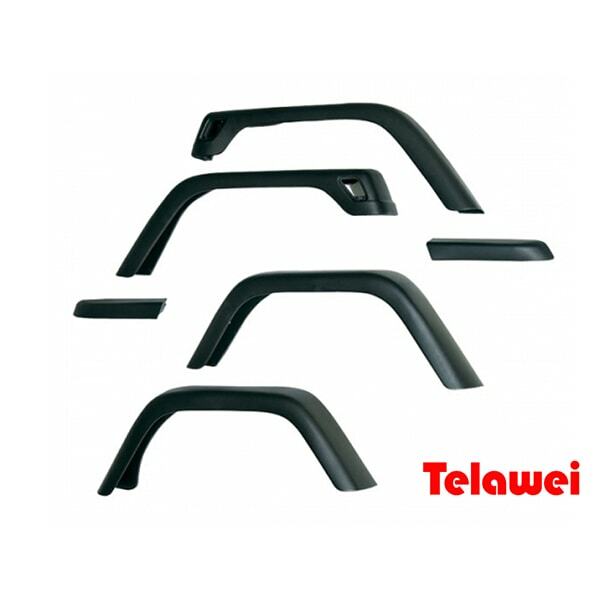 Telawei 4x4 company is professional 4x4 factory,Now our goods had export all over the world,include UK,France, Malaysia, south Africa,USA and so on.